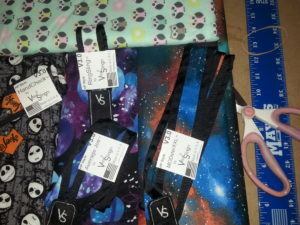 Send & Sling:Step 1: Go to any fabric store and select your favorite printed fabric. Send & Sling™ is a complimentary option for any V3 Sling type. For this option: Send (instructions below) your own fabric for your Send & Sling™ V3 sling personalization/print choice. We stock many color/print selections for your V3 product choices. Please view your V3 product choice before going out to buy your own print. Your favorites may be listed already. Send & Sling™ Details below. Send your own fabric to VapeSling LLC (Address below) for your Send & Sling™ sling application. Now you can personalize your V3 Sling type with any fabric print you desire. Sling your Sports teams (NFL, NBA etc), car/bike brands (Harley), TV show (TWD, GOT, etc), Movie (Star Wars, etc) or a favorite pattern print (Stripes, polka-dots, etc…). Step 1: Select your Print or Color: Simply go online (fabric.com) or visit any fabric store (such as JoAnns…easy and many selections). Send at least 1 yard of your choice (avoid seams). Please, select Cotton as 1st choice. Light fleece is ok. Heavier fabrics, such as quilt will not sew properly. Therefore, not be accepted. Tee shirts can be sent in, however, the material may not be long enough for some slings. Such as the V3 MODster XXL™ for instance. Please keep this in mind when selecting your fabric for your Sling type. Please send at least 1-2 yard if possible, to avoid seams. Step 2: Shop VapeSling.com. Add your V3 Sling type to your cart. Choose any color to get through your Sling type order. Immediately after adding your Sling, add the Send & Sling™ FREE option to the cart. Shipping Suggestion: The most economical method is USPS “Thick/Padded envelope” rate. Using any clasp envelope of 9×12 or larger, your rate can be as low as $2.61 (1-4oz) and no more than $4.30 (1 lbs). Step 4: 3-5 days after your fabric arrives at our factory, your new custom Sling, bearing your fabric print or color, ships to you. Note: The VapeSling® VS® Logo accompanies your sling and custom fabric. Therefore, fabric with hate messages or symbols will be rejected. Your money will be refunded. We will accept prints with profanity, as we are all adults, however hatred will not be tolerated. Please remember to add your V3 Sling choice to the cart as well as the complimentary Send & Sling option. *Legal Copyright Note: Once a fabric print is purchased, you have paid the copyright license for that fabric. The legal right to use the fabric has been obtained by it’s purchase. 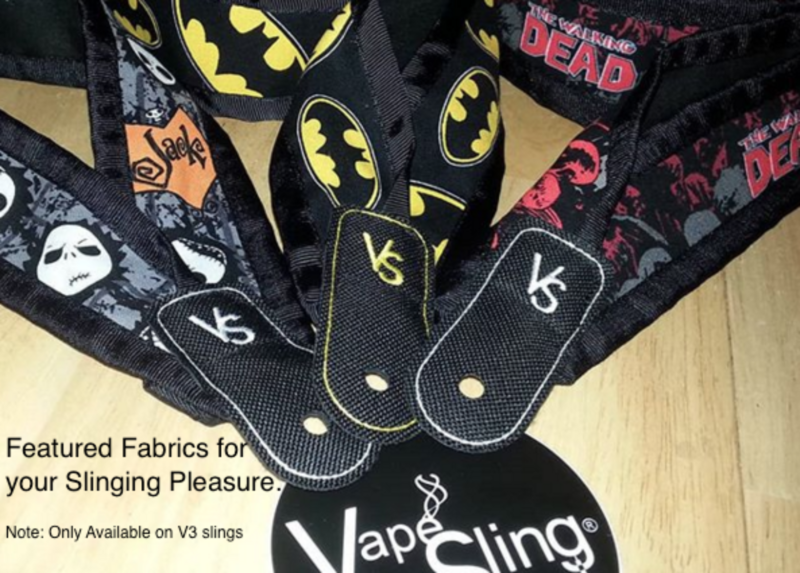 Click here to read of more of VapeSling® products with CopyRight fabric.